After Madison and her coworker Evan are robbed and assaulted at work, they respond in dramatically different ways. She retreats and grows fearful, avoiding strangers and dark places. He becomes angry and belligerent. 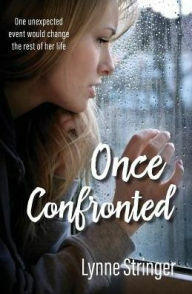 But with time, Madison heals and finds the courage to confront her assailant. Evan rejects that approach and slips deeper into darkness. An interesting tale with a big heart and an eye for the roots of societal ills, I enjoyed the story. The biggest distraction for me was the writing itself. Stringer's background is in journalism and the writing here is very direct and to the point. While a fairly slim book, there's a lot of action here and a great deal of things happen to the characters. What we don't see much of is how they feel about those things. Madison goes through some major changes and we are told that she is upset, angry, sad, and ultimately happy, but we don't see much of her psyche. The characters, while varied and interesting, lack depth in general, making it hard to empathize with them. I liked them, but I didn't feel for them.